5pcs Eleaf iJust BCC Pure Cotton Head 1.2ohm for GS14/16/16S/iJust Atomizers, it applies pure cotton materials, with high quality. 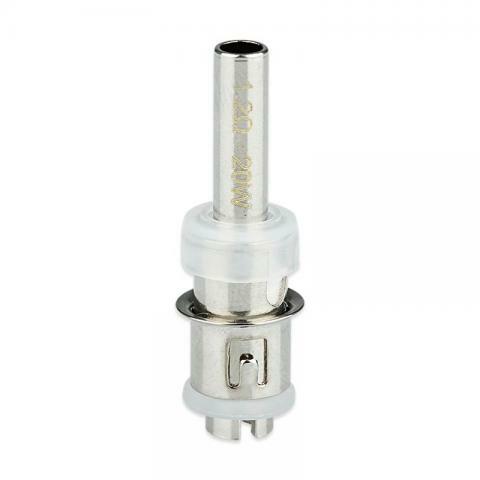 5pcs Eleaf iJust BCC Pure Cotton Head 1.2ohm for Eleaf Atomizers, can work with GS14/16/16S/iJust Atomizers, it applies pure cotton materials, with high quality. How to replace the coil unit/coil head? Turn upside down the cartomizer, then screw off the connector. Take out the old coil unit from the bottom base, replace with new one. So easy! Please be sure that the coil unit is screwed into the cartomizer tightly. After refilling, allow 1-2 minutes for the e-juice to feed into the coil before you start to vaping. Or Give the cartomizer a quick shake to make it faster. 1.Please first drip a few drops of e-liquid directly into the cotton wick so as to make it fully moist before vaping. 2.Please don't vape until e-liquid nearly runs out. Otherwise, the cotton wick inside will be damaged. • It's for Eleaf iJust BDC Atomizer - 3.7ml, Eleaf BCC-GT BDC atmizer - 1.6ml, iJust GS14, GS16 and GS16S atomizers. Delivery 1,5 weeks to michurinsk (tamb. obl.) Packaging is not original, the evaporators themselves have not yet tried, externally like norms. Sent very quick.Excellent seller.Would highly recommend to anyone.